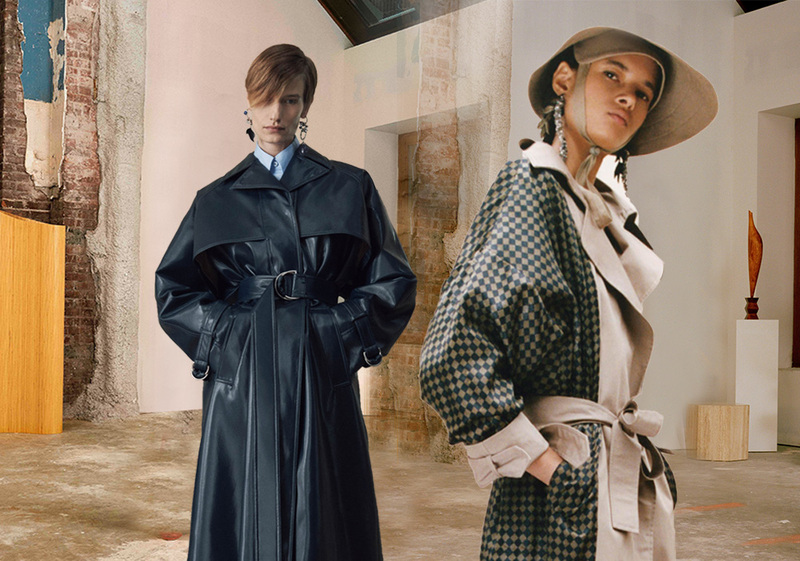 Trench coats make a comeback in the fashion world. 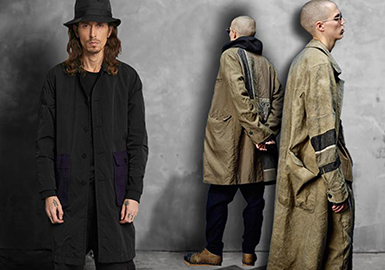 Evolving from military apparel to everyday wear, trench coats deliver a causal and urban style. 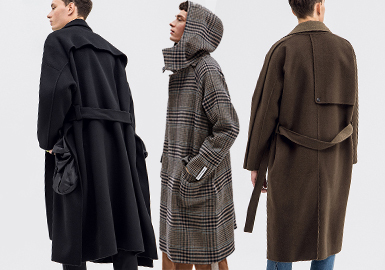 Overcoat is a must-have item to keep warm, most frequently seen on A/W streets. Practicality and fashion are important in this season. 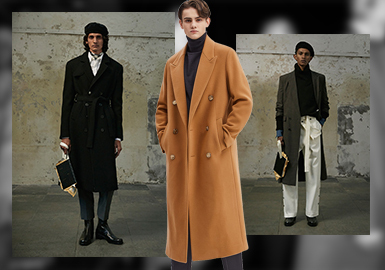 Simple suit look is key, while A-line, soft double-faced wool and check overcoats are feminine yet cool. 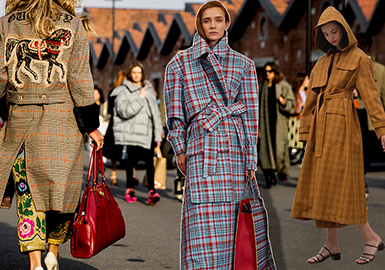 Overcoat is a hot fashion item in autumn and winter, varying in silhouettes. Collar and neck design are updated in this season. 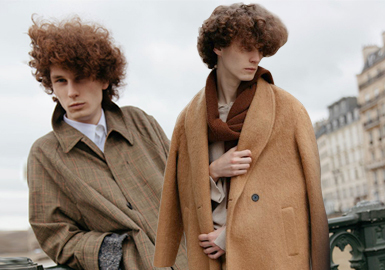 Overcoats can apply hood, scarf collar, square collar, widened neck or V neck to create stylish looks. Parka garments gain popularity for the comfortable silhouette and fashionable style. 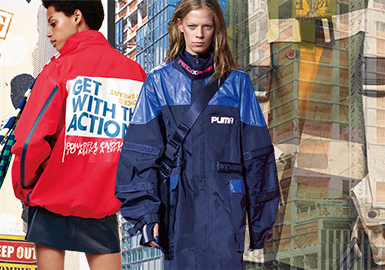 In A/W 19/20, parkas emphasize a youthful athleisure style rather than simple solid-color design. Cloth, Woolen, PVC or TPU pairs with down feather or rabbit hair lining. 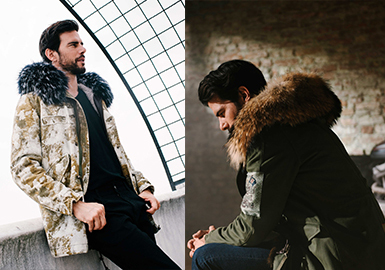 3D mink skin, all-over prints, exposed lining and drawstrings smarten up parkas. Parka is a stylish and leisure garment for winter. Modern gentlemen attach more importance to fashion. 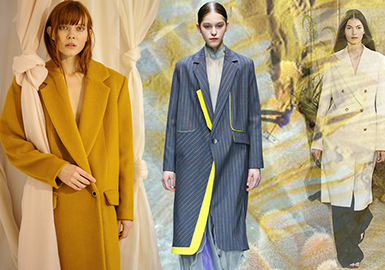 As a must-have in autumn and winter, coat is a key item for designers. 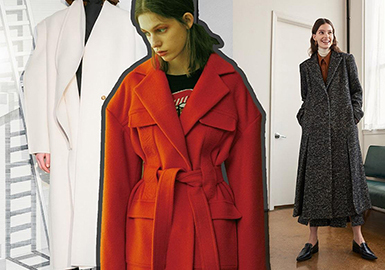 Smart coats stand out on catwalks with their crisp shoulders and sharp silhouettes. 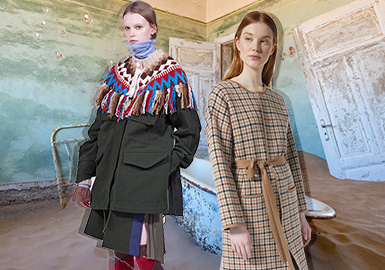 The recreated looks breathe life into traditional coats. The versatile coat is a must-have in autumn & winter. The warmth is always the key, and here is the key styles in this season. Coat is an essential item to keep warm in A/W and frequently seen on streets. 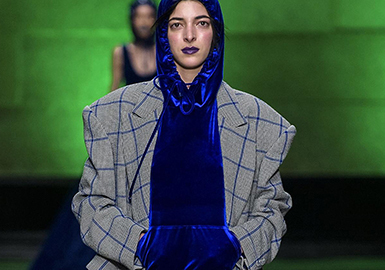 In A/W 19/20, practical and stylish design is important, and simple silhouettes are key, with sharp lines and soft curves for a cool yet feminine style. The warm and stylish coat is a perfect choice in winter, it is favored by men for its clean cut and concise profile. 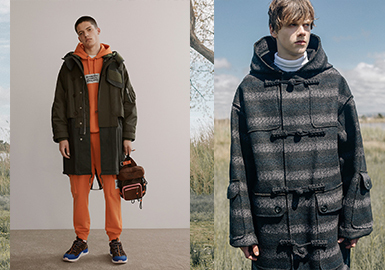 Parka gains popularity in recent winters. 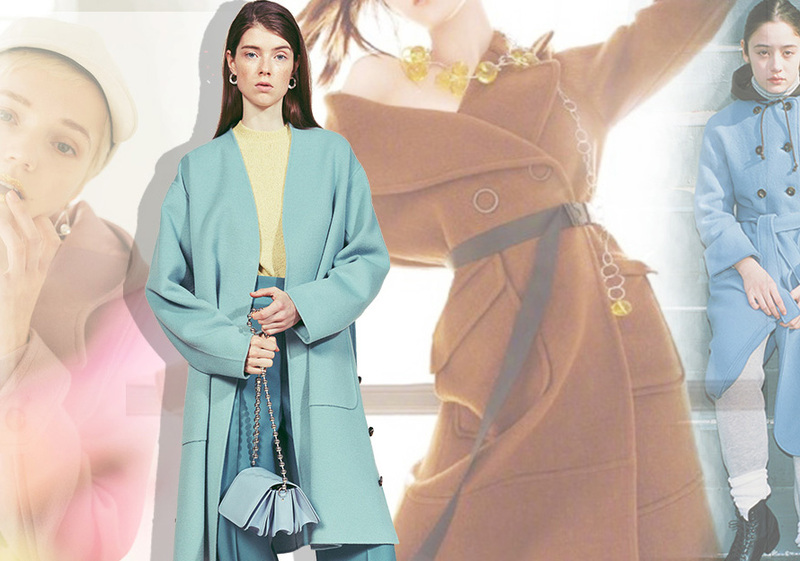 In addition to hot bomber jacket looks, midi silhouettes are prevalent. 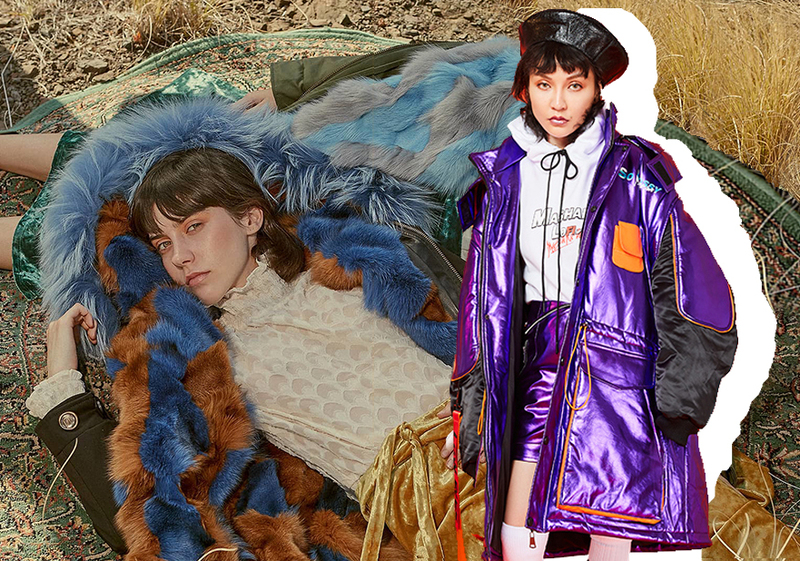 Designers focus on colorful lining and fur hood trims, adding statement to cold winters. 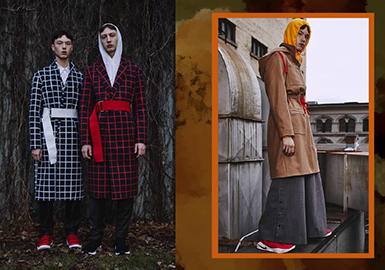 As the awareness of gender equality has been raised in today's society, many people believe that they are not born to be masculine or feminine, but can develop a personal style. 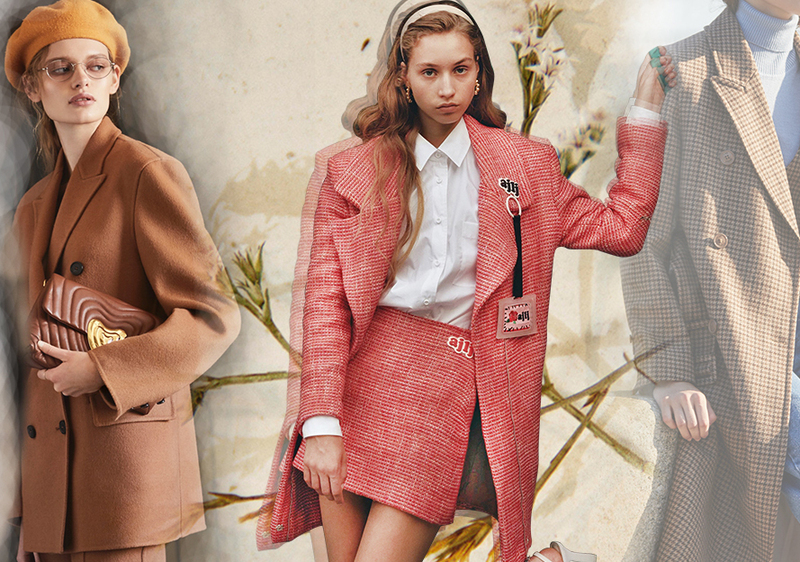 Women's silhouettes are no longer limited to soft lines, crisp structures are prominent in coats. 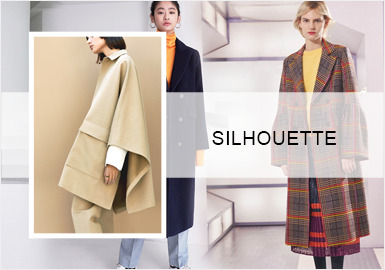 Voluminous silhouette is key for A/W 18/19 coats, emphasizing the supple not crisp structure, and abandoning the bold padded shoulder for a soft and rounded shoulder line. Deconstructed cotton and linen style continues its popularity, and the CROQUIS-like items are favored by designers and drive the trend. Focusing on the application of materials and slight deconstructionism rather than intricate structure to create everyday items, reinterpreting the carefree and retro slow life with simple approaches.